Alfred Brendel is the one. He can illuminate even the Hammerklavier Sonata of Beethoven. That one being so difficult, with so many runs, trills, and effects I can't even name. But A.B. plays with such light, agile fluidity that the piece makes sense. He communicates it by - somehow - taking his time; being in control, being on top of the situation. The complication of LVB now makes sense - I imagine it's become easy for A.B. (after the years of practice, his gift is to render LVB's music as just "a snap.") He reanimates it with such clarity of mind and lightspeed of finger that we can hear our way into it. A resonant sound - all brought within hearing distance by a player who knows how to pause and how to get soft at the right moments in any complex piece. Some of the most exciting and beautiful music available. Highly recommended. Brendel tempi can be rushed on so some of these pieces. This collection of beatifully performed Sonatas is close to 2 and 1/2 HOURS of great music for about 10 dollars! The first of Brendel's 3 full cycle recordings of the Sonata's dates from 1962-1964 but the sound is very good. 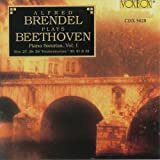 Brendel is a consistently fine performer of Beethoven, and this cycle shows why. 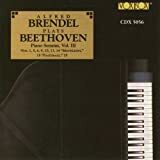 The pieces on this particular volume are very satisfying with the Appassionata, Les Adieux, Tempest, and the Waldstein and the 4 other full length Sonata's showing Beethoven's flair and expressive range. A recommended purchase. 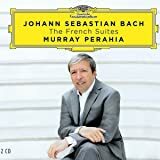 These CDs contain typical Alfred Brendel; somewhat workmanlike but technically brilliant performances of some wonderful works. But when you put the CDs in your PC and click on a track, you don't hear what is labelled. The listings seem to be a little off. The discs contain all the music, but not in the same order listed on your computer screen. It's a pain to fix, but once it's fixed, these CDs are a bargain. 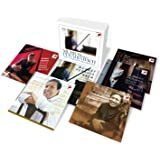 This set contains what must be some of the finest Beethoven recordings ever made. The Tempest and the Waldstein are great performances. The Waldstein, in fact, is the best I've ever heard, even better than Horowitz's. 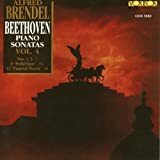 A number of pianists excell in the work's big moments, but Brendel integrates them with the more lyrical passages in a way that is totally unique. The Appassionata is a good performance, also displaying a big technique. I still prefer Rudolf Serkin in this work, but Brendel is very much worth listening to. Les Adieux goes very well indeed. One of the little treasures in this set is Sonata No. 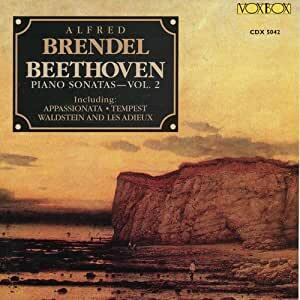 19, which Brendel plays with an integrity of interpretation that one rarely hears in Beethoven's shorter piano works. The sound engineering throughout the set is quite good and never less than engaging, even though the sound lacks a degree of depth that one finds in more recent recordings. For the Waldstein alone, this recording is a must.